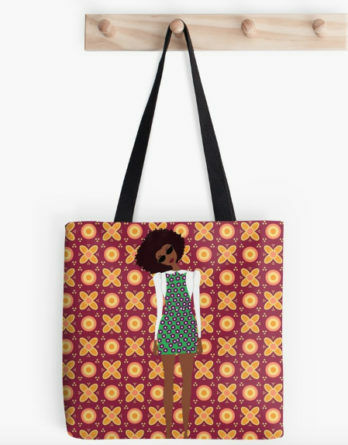 Afro tote bags with geisha-inspired designs. 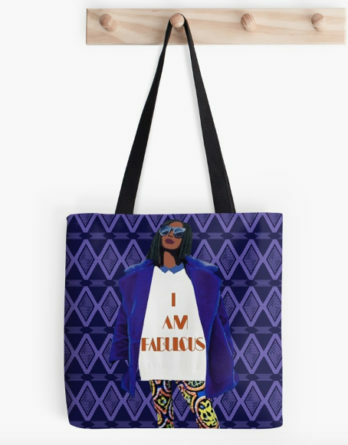 Created by French artist Doria-Adoukè. It represents a girl with an afro puff and geisha makeup. 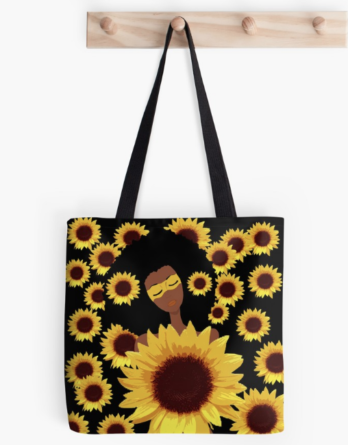 A way to celebrate coloured girls by mixing African and Asian culture. 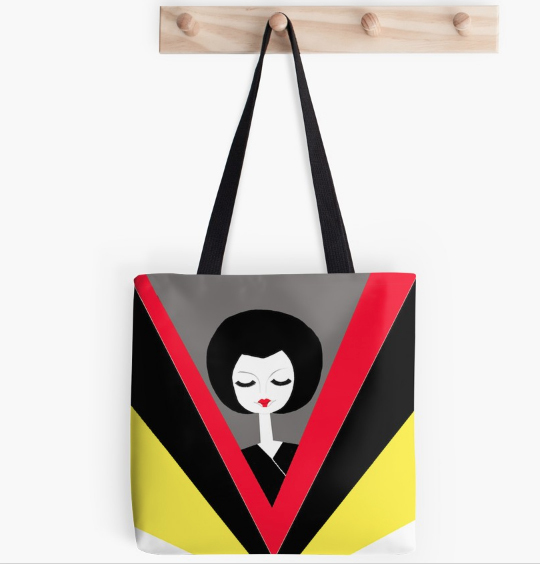 This bold and modern design will elevate your everyday look. The perfect bag to carry everything you need. 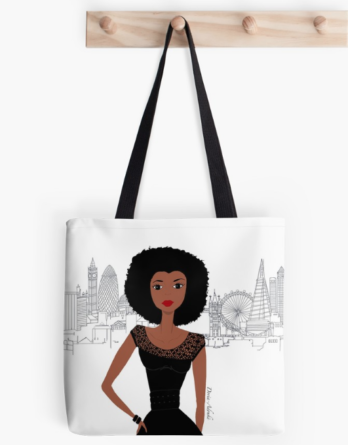 This high-quality tote bag goes perfectly with a black outfit. It also fits warm colours such as red, yellow and orange. Complement your style with our iPhone case featuring afro and geisha-inspired designs and our afro travel mug.